This is Ellie, my 1 1/2 year old Chihuahua/Yorkie mix. She is a serial toy murderer! 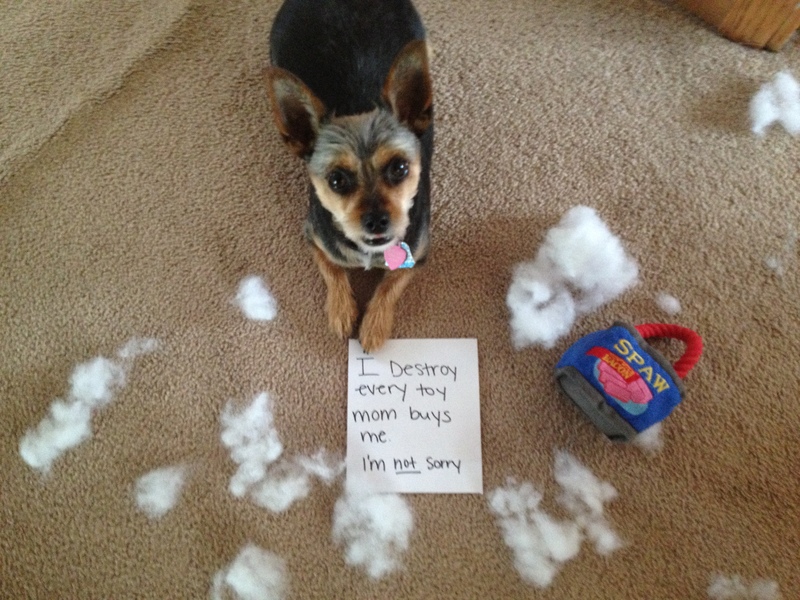 I have tried all brands of “indestructible” toys or hard rubber toys, she either eats them or ignores them. Bad dog!!! Posted July 3rd, 2015 .